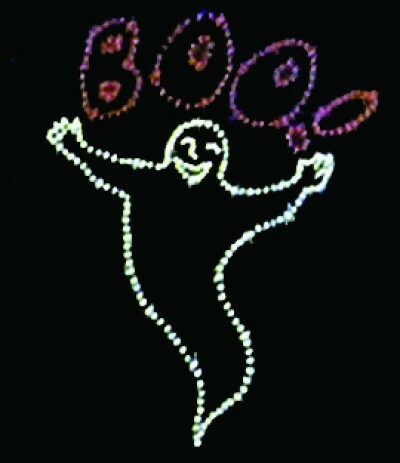 SHOWN WITH 173 C-7 INCANDESCENT ASSORTED COLORED LAMPS. COMPLETE WITH STANDARD GROUND MOUNT HARDWARE. 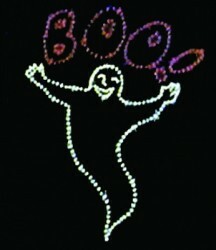 ALSO AVAILABLE 16' ANIMATED BOO GHOST WITH 230 C-7 INCANDESCENT ASSORTED COLORED LAMPS @ 1,150 WATTS & 103 LBS.